Got this all wrapped up, really excited about how it came out. It’s set up to be a 3 color screenprint, and should look awesome printed up full size! 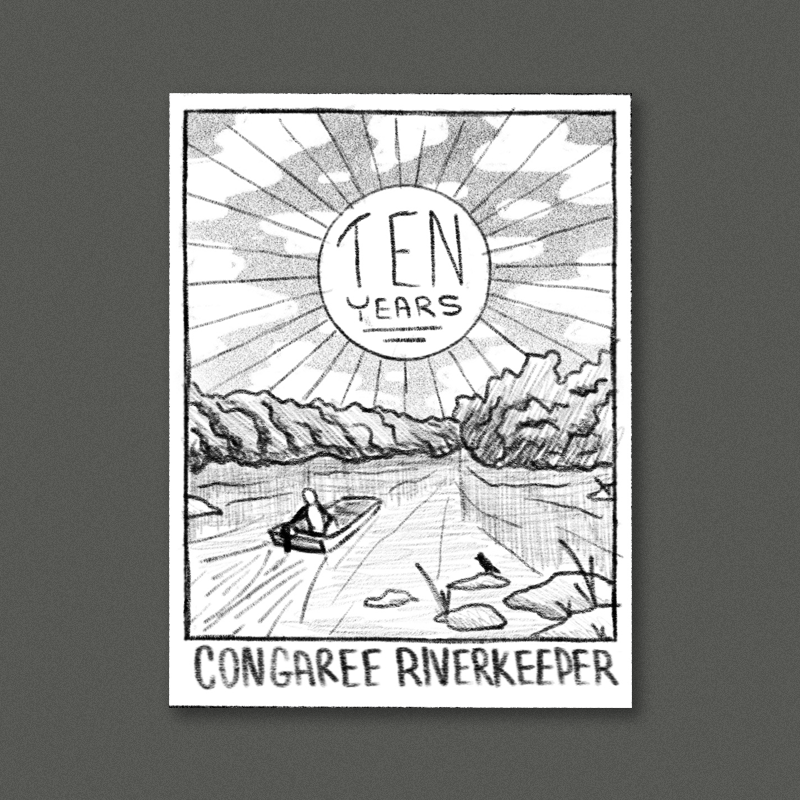 Here are a few rough sketches for the ten year poster. 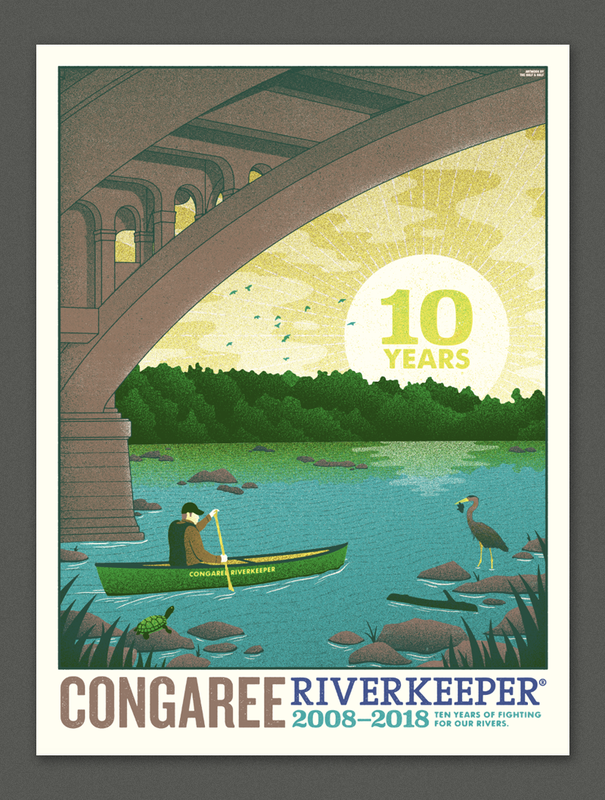 When I was thinking about the project and Riverkeeper’s mission it was obvious that the river itself needed to be front and center in the poster but I also wanted to include a human element to show how we relate to and interact with the environment. 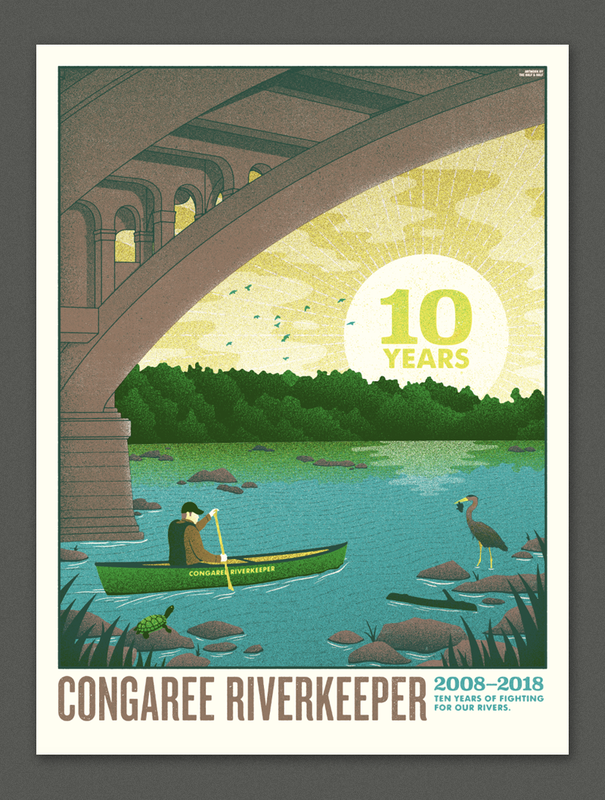 The layout is a little inspired by the classic national parks posters, I really like how they bring a strong focus on the landscape itself. Please keep in mind that these are just rough pencils meant to show the general concept and composition, the finals will be much more developed like our gig posters! A bright Carolina sun beaming down over a john boat motoring upstream. I like the idea of making the boat pretty small compared to everything else to give a sense of just how huge and open the river is. A sunset paddle framed by the Gervais St. Bridge. I like the idea of including the bridge because it gives the scene such a strong connection to the city, rather than a more nondescript river landscape that could be anywhere this makes it unmistakably a part of Columbia. 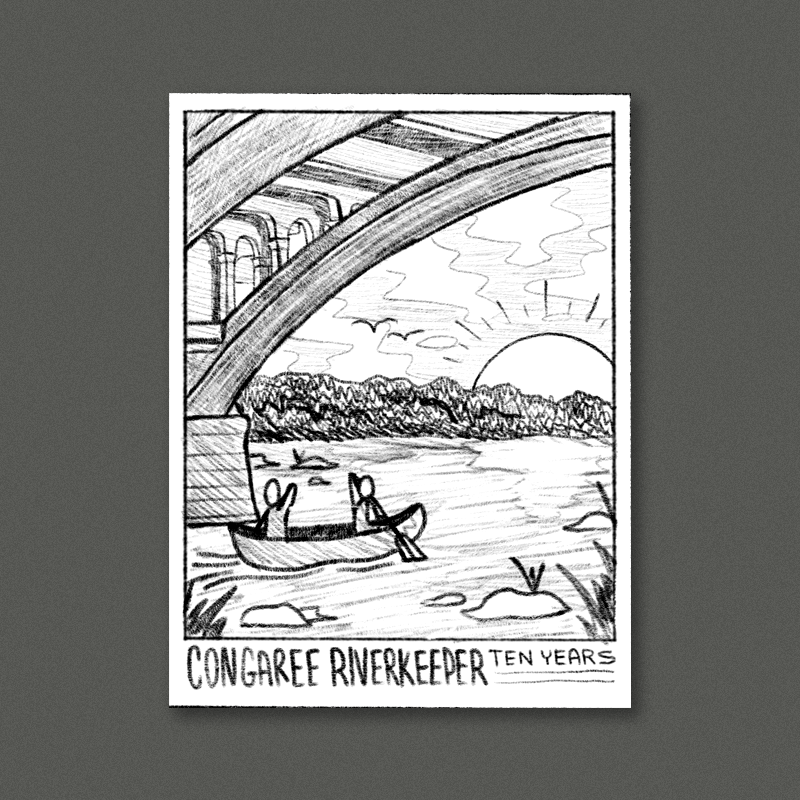 The canoe would be modeled after the riverkeeper canoe, and we could include some fun little details like birds perched on the bridge and the rocks in the background. This direction is more focused on the creeks and swamps surrounding the river. A dense floodplain forest with a tangle of sawgrass and cypress. This concept has tons of spots to put little critters in - birds, snakes, squirrels, raccoons could all be tucked into the scene.